Once onboard our intimate guest ships, the Azamara Journey®, Azamara Quest®, and Azamara Pursuit℠ you won't have to pay extra to enjoy your night-cap or celebratory drink. 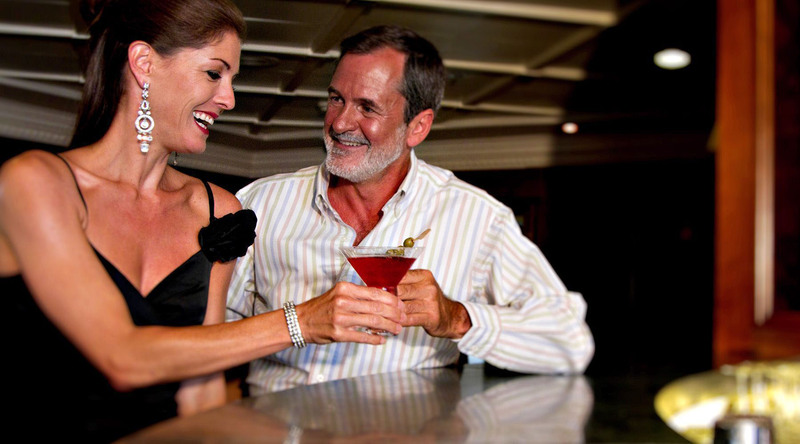 Our inclusive amenities feature select standard spirits, international beers, and a changing selection of two red and two white wines, and one rosé and one sparkling wine by the glass each day throughout your voyage. To take advantage of this incredible treat, simply visit one of our ship bars or dining rooms and we're sure you'll find something to quench your thirst. Please note, the complimentary beverages listed below are not available for room service. *All selections, prices, and availability are subject to change without notice. Our current boutique wine list features a regularly changing selection of two red and two white wines, and one rosé and one sparkling wine by the glass each day throughout your voyage. We source some of our boutique wines locally while the ships are sailing in wine-producing regions such as Italy, France, and Spain. When the ships are sailing in regions such as Asia, northern Europe, or regions where local wines are not as common, we offer a selection of wines from around the world.